An elaborate Mum locket from Together. 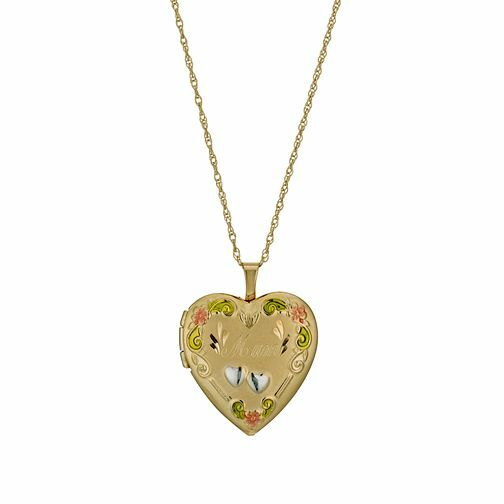 Made from a precious combination of bonded silver and 9ct yellow gold, this sentimental heart locket features delicate floral engraving and diamond cut detailing, finished with contrasting colour detail in red and yellow. Set on an 18" fine chain, this is a beautiful keepsake perfect as a gift to your beloved Mother. Together Silver & 9ct Bonded Gold 18" Mum Locket is rated 4.5 out of 5 by 4.